Service Costs > How Much Does Book Binding Cost? How Much Does Book Binding Cost? Bookbinding is the process used to put the pages of a book together. 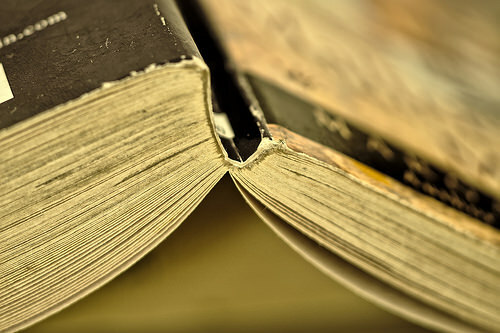 As an ancient art of connecting the individual pages of a book into a single volume, bookbinding services have grown from simple binding into more creative techniques to make binding easier. Although bookbinding can be done without the help of an adept hand, opting for skilled artisans or bookbinders is still a great decision to ensure quality work in the end. The price for bookbinding depends on what you’re binding, the material being used and the professional/company you choose. The average price, according to our research, is around $2 to $175+ per book. A premium service, if you were to use a leather bound cover with 100s of pages, could cost more than $150, whereas a simple spiral-bound binding job at your local office supply chain could cost as little as $5. If you’re looking for a cheaper binding project, such as a job done at Kinkos or Staples, then the prices can be more in the $2 to $10 per book, depending on the size and the binding. For instance, on this ProTeacher.net forum thread, teachers had claimed they had paid $2.59 for a spiral binding with less than 100 pages. Another forum member on this same thread said Staples would charge by the thickness, and she paid about $14 for 200 pages with a plastic cover. Deasasso.com, for example, lists its prices on its website. New bindings done in cloth can cost $70 to $120 and up, depending on the size, whereas a new binding in leather can cost $175 to $275 and up, depending on the quarter binding and leather being used. Periodical The cost will depend on the length of the spine and is commonly done to older newspapers or magazines. $35 to $75. The more pages that need to be bound, the higher the price will probably be. Some professionals, for instance, offers premium bookbinding options with leather bound books that are foil stamped or hand tooled in a 23 carat gold leaf. These options, again, depending on what a professional offers, can cost anywhere from $120 to over $225 per book, depending on the volume and the specific materials being used. Most of the time, the price varies widely based on which type of cover is being used. Leather covers will usually be the most expensive. Leather can vary in many different types (goat leather and cow leather, for example). Thus, leather cover prices can vary. Needless to say, the prices will vary depending on where you go. As mentioned, bookbinding can be done in many different ways. The term “book binding” is inclusive to different ways such as soft cover binding, hardcover binding, plastic coil binding, saddle stitch binding, thesis and dissertation binding and legal (sewn) binding. Each of these ways will have different processes and can be used for different types of books. Book1one.com , for instance, offers details on these bookbinding styles and offers suggestions as to which type would be best for your specific project. Economy bound books, for example, are sewn and bound in a high-quality book cloth. For smaller quantities, the average binding project can be finished within a day, but for customized binding jobs, the costs could be much more. Binding performed at a local office supply store can be done within minutes. To find a professional, book binding can often be done at a local retailer such as Kinkos or even at a local library. Some schools, if you worked at one, may even have a machine if you’re lucky. Professionals can stamp a cover and/or the spine for an additional fee, but some may include it in the quote. Usually, each letter should cost $0.50 to $1.50 per word. Choosing an online binder may incur additional shipping charges, depending on their policy. Consider doing the bookbinding on your own. Many people think they cannot do it, but the process is a lot easier than one may think. With the help of some binding equipment and essential materials such as glue, cardboard and fabric, you can do the binding on your own. Instructables.com gives a detailed description of how to do binding for your own book. If you plan on going to a local office supply store, see if they have any coupons available on its website before going to their copy center. Many print shops will offer bulk discounts if you bind more than 10 to 20 books at once. Usually, the more you bind at once, the more you can save. I was recently looking for a way to improve a couple of early volumes that I had both of which were without front or rear boards. Both are sm 8vo or 16mo. I found a binder who offered a 3/4 leather binding, raised bands, gold stamped spine title, etc FOR $25.00 DOLLARS !!! I was a little concerned but thought I’d try them out as an experiment if nothing else. They are an overseas bindery and the postage to get the volumes there was about $35. They quoted a return postage of $10 !! I shipped the books off First Class Mail International and held my breath. They are good communicators and don’t leave you in the dark. The volumes came back – probably 5 weeks round trip, and they are GORGEOUS! No, I don’t work for them. But they deserve whatever praise I can give. I don’t know if they do any restoration work or specialty services. If you are interested I can send you photos of the two books I had done.